Draft: 2002, San Francisco Giants, 1st rd. Married (Chelsea Williams, November 2009)…daughters: Hartley Mae, Dec. 12, 2010 and Everly Bre, Oct. 29, 2013....Graduated from Houston (Germantown, TN) High School in 2002....Was named Tennessee's Gatorade High School Player of the Year after dominating senior year in which he posted a 7-3 record with a 1.02 ERA in 13 games. ...Received a key to the city from Mayor Ed Lee in a special pre-game ceremony on June 26, 2012, following his perfect game…Lee also declared June 13 "Matt Cain Day"... Prior to his start on June 18 at Los Angeles-AL (his next start following his perfect game), Japanese sporting goods maker Mizuno gave him one of the most unique gifts he has ever received for a baseball achievement - a samurai sword…a traditional Japanese honor, the sword was given to Cain for making history while wearing a Mizuno glove. Cain was limited to 21 appearances (17 starts) due to injuries...he posted a 4-8 record with a 5.64 ERA (56er, 89.1ip) overall...Was placed on the disabled list three times throughout the season...twice with a right hamstring strain (May 28-June 13 and June 14-July 20) and once with a lower back strain (August 18-September 2)...missed a total of 56 games...Went 4-8 with a 5.81 ERA (54er, 83.2ip) over his 17 starts...made just four quality starts...Was placed in the bullpen after being activated from the disabled list on Sept 2...made four relief appearances, allowing two runs in 5.2 innings of work (3.18 ERA)...Struggled at the beginning of the season, posting a 0-4 record with a 7.84 ERA (27er, 31.0ip) and a .341 (44-for-129) over his first six outings...His best starts of the season came over a three game stretch from May 10-May 21 where he posted a 1.71 ERA (4er, 21.0ip), while holding opponents to a .253 (19-for-75) average against...Held opponents to a .240 clip (11 extra-base hits) the first time through the lineup...however, the opposition combined to hit .344 with 25 extrabase hits the second and third times time through the lineup...Made three rehab starts with three different minor league affiliates, starting for the rookie league Arizona Giants (3.1ip, 3h, 2r, 2er, 1hr, 6so), triple-A Sacramento (W, 5.2ip, 1h, 2r, 2er, 2bb, 2so) and Class A Advanced San Jose (L, 4.0ip, 10h, 9r, 9er, 3bb, 2so)...Despite suffering the loss, he made one of his best starts of the season on May 10 vs. Toronto... he threw 8.0 innings, allowing two runs on six hits with seven strikeouts...it marked his longest start since Aug. 1, 2013 (also 8.0 innings at PHI)...Recorded his first win in almost 10 months on May 21 vs. Chicago-NL...held the MLB-leading Cubs to one run on six hits in 6.0 innings of work in the Giants' 5-3 victory…it marked Cain's first win since July 22, 2015 at San Diego, snapping a streak of 15 consecutive winless starts...Left his start in the second inning on May 27 at Colorado with a right hamstring strain after just 1.2 innings (26 pitches)…felt it on his second-tolast pitch to Gerardo Parra, who flew out to left field... had to leave the game after that at-bat and was placed on the 15-day disabled list on May 28...Was reinstated from the 15-day disabled list on June 13 after missing a pair of starts...started that night against the Brewers and re-aggravated his hamstring after tossing 3.2 innings, while allowing three runs on five hits with five walks and was placed back on the disabled list the next day...On July 31, he tossed 5.0 no-hit innings vs. the Nationals before being removed from the game…since the Giants moved to San Francisco in 1958, Mike Krukow (May 12, 1983), Lincecum, and Cain are the only three Giants to throw 5.0 or more no-hit innings without throwing a complete game...also picked up the win, becoming the sixth pitcher to reach 100 career wins in a Giants uniform, joining Juan Marichal (238), Gaylord Perry (134), Tim Lincecum (108), Kirk Rueter (105) and Mike McCormick (104)...In his next start on August 6 at Washington he pitched another 5.0-scoreless innings, becoming just the third pitcher in the modern era (since 1900) to pitch exactly 5.0-scoreless innings and earn a win in back-to-back starts within a single season, with both starts coming against the same opposing team... it was also accomplished by Otto Hess for the Indians against the Tigers in 1904 and by Jim Deshaies for the Astros versus the Braves in 1986. Three-time All-Star (2009, 11-12) made 13 appearances (11 starts), going 2-4 with a 5.79 ERA....Missed 94 games with a right flexor strain and elbow nerve irritation....Started the season on the Giants' Opening Day roster and was scheduled to start the team's third game of the season, however experienced tightness in his right forearm and after an MRI he was diagnosed with a strained flexor tendon in his pitching arm...was placed on the 15-day disabled list on April 8 (retroactive to April 4) with the flexor tendon injury....Had pitched 4.0 shutout innings in a Bay Bridge exhibition against the A's April 3, but reported feeling tightness the next morning and it had lingered....Reported some elbow pain during his spring training starts, but was told that was normal as he ramped up his throwing after last year's surgery to remove bone spurs from his right elbow... Overall, went 2-4 with a 5.62 ERA (36er, 57.2ip) in 11 starts...owned the 11th-highest ERA in the NL among any pitcher who made at least 10 starts....Was activated from the disabled list July 2 and returned to the Giants rotation...went 2-4 with a 6.15 ERA (36er, 52.2ip) in his next 10 starts (three quality outings).... Was placed on the disabled list Aug. 28 with right elbow nerve irritation...underwent an MRI and had a cortisone shot following his start Aug. 25 after describing the irritation as ''achy feeling'...was activated from the DL Sept. 10 and was placed in the bullpen, where he made two relief appearances...he allowed three runs in 3.0 innings of work out of the 'pen. 29-year-old had an injury plaqued season, landing on the disabled list three separate times, with his last DL stint ending his season following the All-Star break...overall, went just 2-7 with a 4.18 ERA (42er, 90.1ip) in 15 games/ starts...His DL stints included a cut on his right index finger, a strained right hamstring and right elbow inflammation, which he ended up having season-ending surgery on to remove bone chips from his right elbow...Was scratched from his scheduled start on April 29 vs. San Diego after cutting the tip of his right index finger after making a sandwich in the Giants' clubhouse kitchen...after the ham and cheese sandwich was fully assembled, he grabbed, dropped and tried to catch a knife he hoped to use to cut it...the cut did not require stitches, but kept him from taking the mound because it occurred at a spot where he released pitches from...Was placed on the 15-day disabled list from May 5 (retroactive to April 24) to May 10 with the cut on his finger… missed 15 games (total of two starts)…was scheduled to start May 5 at Pittsburgh, but the cut had not healed sufficiently and was placed on the DL...Was reinstated off the DL on May 10 and started that day at Los Angeles-NL...Strained his right hamstring on May 21 at Colorado and was removed after 3.0-scoreless innings…suffered the injury on his last pitch of the 3rd inning after striking out Charlie Blackmon with his 36th pitch…felt a twinge in his hamstring and was escorted to the trainers' room... underwent an MRI and was diagnosed with a Grade 1 strain (mild strain)...Was skipped from his scheduled start on May 26 vs. Chicago-NL due to the hamstring injury…threw a bullpen session May 24 and it was cut short after he threw just 15 pitches...Had hoped to start against the Cardinals on May 31, but still felt a bit of discomfort and the club did not want to take any chances so was placed on the 15-day disabled list May 31-June 6 with a strained right hamstring...Landed on the 15-day disabled list for the third time on July 21 with right elbow inflammation related to bone chips floating in his elbow…the fragments were first discovered in 2010, but he had been able to pitch with them without discomfort...Received opinions from three different surgeons about his elbow, including Dr. James Andrews, Giants orthopedist Dr. Ken Akizuki and Mets orthopedist Dr. David Altchek… it was recommended that he have surgery to remove the bone chips from his pitching elbow...Underwent season-ending surgery on Aug. 11…Cain expects to begin throwing in December and he should be ready for spring training...Had arthroscopic surgery on his right ankle on Sept. 27 to remove a bone spur...the surgery was performed by Dr. Ken Akizuki and Dr. Larry Oloff in San Francisco...his recovery time is two months. Completed his ninth season with San Francisco, going 8-10 with a 4.00 ERA (82er, 184.1ip) in 30 starts...His eight wins were his fewest in a season since 2008 (eight), his 184.1 innings were his fewest in a full season and his 4.00 ERA was his highest figure since his second season in 2006 (4.15)...reached the 30-start barrier for the eighth-straight season, becoming the first Giants pitcher to accomplish that since Carl Hubbell did it for nine-straight seasons for the New York Giants from 1929-1937 (STATS, LLC)...allowed a career-high 23 home runs (12 on the road, 11 at home), which also ranked as the eighth-most in the National League...Had 158 strikeouts on the season, marking the eighth consecutive season that he registered at least 150 strikeouts, which tied Juan Marichal (1962-1969) and Gaylord Perry (1964-1971) for the longest such streak in Giants' franchise history (Elias)...Was placed on the disabled list for the first time in his career on Aug. 23 with a right forearm contusion (Aug. 23-Sept. 7)...in his nine years in a Giants uniform he had never missed a start due to injury and had been skipped in the rotation just once...Went 5-6 with a 5.06 ERA (63er, 112.0ip) in 19 starts prior to the All-Star break, but then 3-4 with a 2.36 figure (19er, 72.1ip) in 11 starts following the break...in fact, since the break, he allowed three runs or fewer in each outing while logging at least 7.0 innings in nine of 11 starts...allowed six-or-more runs in a start on five different occasions: nine runs on April 7 vs. STL, seven runs on April 18 at MIL, six runs on May 16 at COL, seven runs on June 1 at STL and eight runs on July 5 vs. LAD...Took the hill for his first career Opening Day start on April 1 against the Dodgers in Los Angeles and tossed 6.0-scoreless innings, allowing just four hits while striking out eight batters...matched up with Clayton Kershaw, who tossed a shutout against the Giants while also hitting his first career home run off George Kontos in the 8th...the Giants lost 4-0...Matched his career-high by allowing nine runs (all of which came in the 4th inning) in his second start of the season on April 7 vs. St. Louis...the Cardinals sent 13 batters to the plate in the inning, collecting eight hits, two walks and a HBP...Cain became the first Giants pitcher to give up at least nine runs in an inning since Ernie Shore gave up 10 runs, three earned, in his Major League debut with the New York Giants in 1912...Cain was the first Giants starting pitcher to give up nine runs in an inning since Jack Cronin in 1902...Was charged with his third loss of the season on June 1 at St. Louis in the Giants' 8-0 defeat in game one of a split doubleheader...allowed seven runs in the 3rd inning on 40 pitches...however, outside that inning he was perfect, holding Cardinals batters hitless in 15 abs with seven strikeouts...Nearly 20% of his runs allowed came against the Cardinals, as he allowed 16 runs to St. Louis in just 9.2 innings (14.90 ERA)...take away both those starts and he would've ended the season with a 3.40 ERA instead of 4.00...Had the shortest start of his career on July 10 vs. New York-NL, lasting just 0.2 innings...gave up three runs on two hits and three walks...was the shortest start by a Giants starter since Eric Surkamp went 0.2 innings on Sept. 24, 2011 at Arizona...left his start on August 22 vs. Pittsburgh in the 4th inning after getting hit on his right forearm by a line drive off the bat of Gaby Sanchez that went for a 1-4-3 putout...ended up with a contusion on his right forearm and X-rays were negative, however was placed on the 15-day disabled list for the first time in his career the very next day...had made 261 starts before his first DL stint...Missed a total of two starts and was reinstated off the DL on Sept. 7...started that night against Arizona at AT&T Park and worked 6.1 innings while allowing two runs on eight hits, but suffered the loss in a 2-1 Giants defeat...ended the season on a strong note, fashioning a 1.25 ERA (3er, 21.2ip) in his final three starts. Completed his eighth season with the Giants, going16-5 with a 2.79 ERA (68er, 219.1ip) and two complete games in 32 starts. His 16 victories, 2.79 ERA and 193 strikeouts were all career-bests. Among the NL leaders, finished third in innings pitched(219.1) and in opponents avg. against (.222), fourth in ERA (2.79) and winning pct. (.762, 16-5), tied for sixth in winsand eighth in strikeouts (193). Tossed the 22nd perfect game in Major League Baseball history on June 13 vs. Houston...it was the first perfect game in the 130th-season history of the Giants franchise.His perfect game marked the 14th no-hitter in Giantsfranchise history and the sixth in SF-era history(since 1958). Was one of three pitchers to have a perfect game in 2012, joining Philip Humber of the Chicago White Sox on April 21 at Seattle and Felix Hernandez of the Mariners on Aug. 15 vs. Tampa Bay...marked the first time in Major League history that three perfect games have been recorded in the same season. Is one of three pitchers in SF-era history (since 1958) to logat least 200.0 innings in six-consecutive seasons,joining Gaylord Perry (six-straight from 1966-71) and Juan Marichal (10-straight from 1962-71). Held right-handed hitters to a .191 avg. against (79-for-414), which was the second-lowest figure in the NL behind Washington's Stephen Strasburg (.185). 21 of his 32 starts were quality outings, the second-most quality starts on SF's staff behind Ryan Vogelsong (22). Signed a five-year extension with a club/vesting player option for the 2018 season on April 2. Tossed a one-hit shutout, striking out 11 batters in the Giants' home opener vs. April 13 vs. Pittsburgh...the Pirates' lone baserunner was losing pitcher JamesMcDonald, who singled with two out in the 6th. Became the first pitcher in Giants franchise history to throw a one-hit shutout in the team's home opener. Fanned 14 batters and threw 125 (86 strikes) pitches in his perfect game, a 10-0 victory against the visiting Houston Astros...the 14 strikeouts were a career-high for Cain andtied the record for the most strikeouts in a perfect game, set by Hall of Famer Sandy Koufax in 1965....it was the highest strikeout total in a no-hitter since Hall of Famer Nolan Ryan fanned 16 Blue Jays on May 1, 1991. Cain earned his first career National League Player of the Week award for the period ending June 17th.Won eight-straight starts from May 12-June 18,the longest such streak in Giants history since Rick Reuschel won eight-straight in 1989. Had his winning streak snapped on June 29 vs. Cincinnati in SF's 5-0 loss...allowed a leadoff home run to Zack Cozart, ending the Giants' team scoreless inning streak at 36.0 innings, a new SF-era record...also gave up a solo homer to opposing pitcher Mike Leake, the first time in his career that he ever allowed a home run to a pitcher in 373 at-bats. Was selected to his third career NL All-Star team via the player ballot, receiving 234 votes (the second mostby an NL starting pitcher behind NYM's R.A.Dickey, 342). Was named the starting pitcher for the Mid-Summer Classic by manager Tony LaRussa...became the seventh pitcher in Giants history to start an All-Star Game (eighth time), joining joining Carl Hubbell (1934), Juan Marichal (1965, 1967), Vida Blue (1978), Rick Reuschel (1989), Jason Schmidt (2003) and Tim Lincecum (2009). Made his 31st start of the season on Sept. 26 vs. Arizona, giving him seven straight seasons with 30-or more starts...the only player with a longer current streak is Bronson Arroyo, who has eighth-straight seasons of 30-or-more starts...before Cain, only two Giants pitchersstarted more than 30 games in seven-straight campaigns: Hall of Famers Christy Mathewson (14, 1901-1914) and Mickey Welch (8, 1883-1890). 27-year-old completed his 7th season in Giants uniform, going 12-11 with 2.88 ERA (71er, 221.2ip)in 33 starts. ... Was named to his 2nd career All-Star team (also 2009). ... His 2.88 ERA was his lowest figure of his career (min. of10 starts) and ranked 8th overall in National League. ... Logged 200+ innings for 5th-consecutive season, becoming1 of 5 Giants in SF-era history to pitch at least 200-ormoreinnings in 5-or-more consecutive seasons. ... Allowed just 9 home runs, his fewest in full season in bigleagues and fewest in Majors in 2011 among pitchers whothrew at least 200 innings...allowed just 2 HRs over hisfinal 19 starts. ... Held opponents to .217 avg. against (177-for-816), whichwas 3rd-lowest figure among NL pitchers behind LosAngeles' (NL) Clayton Kershaw (.207) and Philadelphia'sCole Hamels (.214). ... His .185 clip (77-for-416) against left-handed batters was7th-lowest in NL. ... Led National League and was tied for 3rd in Majors with26 quality starts...only Detroit's Justin Verlander and LosAngeles' (AL) Jered Weaver had more (each with 28). ... Among NL leaders was 3rd in fewest hits allowed per 9.0innings (7.19), 5th in fewest baserunners per 9.0ip (10.11)and 7th in innings pitched. ... Averaged just 3.61 runs of support, 9th-lowest avg. inNL...received 1 run-or-fewer of support in 14 of 33 startsand 2 runs-or-fewer in 21 outings. ... Went 9-1 when receiving 3-or-more runs of support ingame. ... Missed nearly 2 weeks in Spring Training with right elbowinflammation...had MRI exam after feeling soreness stemmingfrom his outing on Feb. 27 at Arizona in which hethrew 2.0-scoreless innings. ... Longest-tenured Giant made his 5th-straight Opening Dayroster and logged 6.0-scoreless innings in his debut onApril 2 at Los Angeles-NL. ... Struggled in month of May, going 1-3 with 4.28 ERA (19er,40.0ip), but bounced back, going 4-0 with 1.65 ERA (8er,43.2ip) in 6 starts in June...his 4 wins were tied for 2ndmostin month and his ERA was 6th-best. ... Pitched complete game, struck out 11 batters and hit anRBI-double in Giants' 3-1 victory over Nationals at AT&TPark on June 8. ... Allowed just 1 run over 22.0 innings from June 19-July5...posted back-to-back starts of 7.0 innings with no runsallowed June 25 vs. Cleveland and June 30 at Chicago-NL. ... Was named to his 2nd career All-Star team by managerBruce Bochy...did not pitch in contest as he was ineligibleto play due to making start on July 10, final game beforeAll-Star break. ... Allowed 4 hits with 1 walk and 1 strikeout in Giants' 2-1victory on July 27 at Philadelphia...that snapped Cain'sstreak of 39 consecutive starts with more strikeouts thanwalks, which was longest such streak by any Giantspitcher since 1900...Cain broke modern team record inhis previous start, surpassing 38-game streak by JasonSchmidt (2002-04)...prior to Schmidt, Christy Mathewsonheld record for 95 years (Elias). ... Hit his 5th career home run and his 1st since 2008 on Sept.18 at Colorado, hitting 2-run shot off RHP Esmil Rogers inSan Francisco's 8-run 4th inning. ... Finished season hitting .136 (9-for-66) with 2B, HR, 6 RBIand 8 sac hits. Enjoyed another outstanding campaign, going 13-11 with 3.14 ERA (78er, 223.1ip), 4 complete games and 177 strikeouts against 61 walks in 33 starts...Was one of most consistent Giants starters, with 25 of his 33 starts (75.7%) being quality outings, tied with Chris Carpenter, Roy Halladay, Tim Hudson and Adam Wainwright for most by any pitcher in National League...his 25 quality starts were career-high...Finished 5th in NL with career-high 223.1 innings pitched, reaching 200.0-inning plateau for 4th-consecutive season...joined Jack Sanford (5-straight, 1959-63), Juan Marichal (10-straight, 1962-71), Gaylord Perry (6-straight, 1966-71) and Jim Barr (5-straight, 1973-77) as only pitchers in SF-era history to log at least 4-or-more consecutive seasons of 200+ innings...Cain's 4 complete games were tied for 3rd-most in NL...threw 3 complete games in 4-start span from May 22-June 8, allowing just 2 runs (1er) in 34.0 innings (0.26 ERA )...Issued career-low 61 walks, fewest by Giants starting pitcher since Noah Lowry allowed 56 in 2006 (min. of 150.0ip)...walked one batter-or-fewer in each of his final 10 games (9 total)...posted his best BB/9.0ip ratio (2.46) of his career...Held opponents to .221 avg. against (181-for-818), 6th-lowest figure among NL pitchers, behind teammate Jonathan Sanchez (.205), Philadelphia's Roy Oswalt (.211), Colorado's Ubaldo Jimenez (.213), San Diego's Mat Latos (.213) and Los Angeles-NL's Clayton Kershaw (.214)...Received an average of 4.03 runs of support, 3rd-most among Giants starters (Lincecum, 4.87; Sanchez, 4.68)...was perfect 11-0 with 2.35 ERA (35er, 134.0ip) when receiving at least 3 runs of support in game...Did not receive decision in his 1st 4 starts of season and went 2-4 with 2.88 ERA (19er, 59.1ip) over his 1st 9 starting assignments before tossing at least 7.0 innings while allowing no more than one run in 5-straight starts from May 22-June 13...that stretch matched longest single-season streak of its kind for San Francisco pitcher...Vida Blue did it in 5-straight starts in 1978, as did Cain in 2006 (Elias)...Tossed his 9th career complete game May 22 at Oakland (his 3rd against A's), however was charged with loss after allowing 1 unearned run in SF's 1-0 defeat...marked 2nd-straight time that Cain had gone distance and earned losing decision (also Aug. 3, 2009 at Houston)...was also 11th game in SF-era history that starting pitcher tossed complete-game and did not allow an earned run, but wound up with losing decision...Threw 3rd career shutout May 28 vs. Arizona in SF's 5-0 win at AT&T Park...Cain is nothing new to 1-hitters, as he actually threw one May 21, 2006 against Athletics in his 2nd season as big leaguer...according to Elias only other Giant to have 2 one-hit shutouts in last 30 years is Jason Schmidt...Loss on June 19 began string of season-high 4-consecutive losing decisions for Cain, who yielded 25 runs (24er) in 29.0 innings over 5 starts while opponents batted .328 (39-for-119) off him from June 19-July 9...Was starting pitcher on ESP N's Sunday Night Baseball on Aug. 1 vs. Los Angeles-NL, team in which Cain had never defeated...entered contest with 0-8 lifetime record against Dodgers, but for 1st time in 15 career starts against them, tossed 7.2-scoreless innings and defeated West rival 2-0 in front of vigorous, sold-out crowd, helping sweep Dodgers at home for 1st time since 2004...Pitched 3-hitter to help lead Giants past Rockies 4-2 on Sept. 26 in Denver...carried perfect game into 5th inning and was 5 outs away from no-hitter before Jay Payton beat out an infield single with 1 out in 8th...according to Elias, Cain was 4th visiting pitcher to throw complete game at Coors Field while allowing no more than 3 hits...he joined Pat Rapp (1 hitter for Marlins on Sept. 17, 1995), Hideo Nomo (no-hitter for Dodgers on Sept. 17, 1996) and Roy Oswalt (1 hitter for Astros on Sept. 6, 2008)...POSTSEASON HIGHLIGHTS:Was brilliant in postseason, tossing 21.1 innings without allowing an earned run, which is 6th-longest streak in Major League history, and 2nd-longest in Giants history, trailing Christy Mathewson...overall, went 2-0 with 0.00 ERA (0er, 21.1ip) in 1st 3 career postseason contests...Was denied victory in his 1st career postseason start in Game 2 of Division Series vs. Braves on Oct. 8 after Giants bullpen blew lead and game after Cain had allowed only one unearned run over 6.2 innings (that run turned out to be only run allowed by Cain in 2010 postseason)...had RBI single off Tommy Hanson, marking 1st RBI by Giants pitcher in postseason since Johnny Antonelli had 1 on Sept. 30, 1954 vs. Cleveland (Game 2 of WS)...Threw commanding 7.0-shutout innings in Giants' Game 3 win over Phillies in LCS on Oct. 19...became 1st pitcher to not allow an earned run in either of his 1st 2 postseason starts since Steve Avery accomplished it in 1991...Cain also became 5th National League starter to pitch at least 7.0 innings, allow no runs, 2 hits-or-fewer and win league championship series game, and the 1st since Josh Beckett in 2003 against Chicago Cubs...Pitched 7.0-shutout innings in Giants' 9-0 Game 2 victory in World Series vs. Texas on Oct. 28...marked 3rd postseason start of Cain's career in which he didn't allow an earned run...only 3 other pitchers began their postseason careers with 3-straight games (all starts), in which they were not charged with an earned run: Christy Mathewson tossed 3-straight shutouts for Giants in 1905 World Series; Waite Hoyt accomplished feat for Yankees in 1921 World Series, allowing 2 unearned runs); and Mets' Jon Matlack did not give up an earned run in his 1st 3 postseason starts in 1973 (3 unearned runs)...Joined Christy Mathewson as only Giants pitchers with 3 starts in same postseason in which they allowed no earned runs. Was one of Giants' anchors in starting rotation having breakout campaign by going 14-8 with 2.89 ERA (70er, 217.2ip), 4 complete games and 171 strikeouts against 73 walks in 33 starts for San Francisco...named to his 1st career All-Star team, Cain ranked among NL leadersin complete games (T1st), innings (7th), ERA (7th), opponents avg. against (11th) and wins (T12th)...established career highs in wins and ERA for full season...became 1 of only 4 Giants pitchers since 1970 to log 200.0 or more innings in 3-straight seasons, joining Jim Barr (1973-77), Vida Blue (1978-80) and Livan Hernandez (2000-02)...also became 1st Giants pitcher since Livan Hernandez (2000-02) to appear in at least 30 games and log 200.0+ innings in 3-straight seasons...tossed at least 6.0 innings in 29 of his 33 starts and had 16 games where he allowed 1 earned run or less in 6.0 or more innings, tied with Kansas City's Zack Greinke for 3rd-most such games in majors...only Seattle's Felix Hernandez and Houston's Wandy Rodriguez had more with 18 each...other innings he reached: 7.0ip, 18 times; 8.0 ip, 7 times; 9.0 ip, 3 times...tossed 4 complete games: May 23 at Seattle, June 4 at Washington, June 14 vs. Oakland and Aug. 3 at Houston...combined with teammate Tim Lincecum for 29 wins...only other pitching tandems in NL with more combined victories than Giants duo were St. Louis' Adam Wainwright and Chris Carpenter (36), Atlanta's Derek Lowe and Javier Vazquez (30) and Colorado's Jorge De La Rosa and Ubaldo Jimenez (30)...San Francisco was 21-12 in his starts...team was 16-5 through his 1st 21 starts, but went just 5-7 in his final 12 outings...went 10-2 with 2.38 ERA (31er, 117.0ip) in 18 starts prior to All-Star break...his .833 pre All-Star winning pct. was tied with Lincecum (also 10-2 at break) for 7th-highest mark in SF-era history...only Gaylord Perry (.923 - 1966), Bud Black (.889 - 1993), Bill Swift (.875 - 1992), Shawn Estes (.857 - 1997), Tim Lincecum (.846 - 2008) and Jason Schmidt (.846 - 2004) had higher marks...made quality starts in 20 of 33 assignments...was perfect12-0 with 1.31 ERA (21er, 144.1ip) in those quality outings...posted 7-4 record with 2.72 ERA (34er, 112.2ip) in 17 starts at AT&T Park and 7-4 mark with 3.09 figure (36er, 105.0ip) in 16 games on road...allowed multiple home runs in game on 6 occasions and his 22 clouts allowed overallranked as most on team...held opposition to .161 avg. against with RISP (26-for-161), which was 2nd-lowest clip among NL pitchers,behind Philadelphia's J.A. Happ (.158)...also limited opponents to .101 clip (8-for-79) with RISP and 2 outs, 6th-lowest among NL hurlers...averaged 4.18 runs per 9.0 innings, which was his highest avg. since 5.10 figure in 2006...his run support avg. ranked 2nd on Giants behind Tim Lincecum (4.59)...averagedjust 3.14 in 2008 and 3.51 in 2007...was Giants' stopper in '09, fashioning 8-2 record with 1.97 ERA (18er, 82.1ip) in 11 games followingGiants losses...allowed 10.75 base runners per 9.0 innings, 9th-lowest figure in NL...was team's number 3 starter for entire year...made 4th-straight Opening Day roster and kicked off campaign April 9 vs. Milwaukee at AT&T Park...earned win in that outing after allowing 1 run in 7.0 innings, while retiring 21 of 27 battersfaced in SF's 7-1 victory...earned 2nd win of season April 21 vs. San Diego, holding Padres to 2 runs over 6.0 innings...only runs allowed came on RBI single by Brian Giles in 1st inning and RBI 2B by Kevin Kouzmanoff in 4th...earned no decisionMay 12 vs. Nationals at AT&T Park, logging 7.0 innings and allowing 4 runs on 9 hits...gave up just 1 run through his 1st 6.0 innings before allowing 3-run HR to Nick Johnson in 7th, which turned Giants' 5-1 lead into 1-run game...Nats scored 3 more runs in 8th to go ahead 7-5, but Bengie Molina hit solo HR in 8th and Pablo Sandoval crushed 3-run walk-off HR in 9th to seal SF's come-from-behind 9-7 victory...combined with 3 Giants relievers to shut out Mets, 2-0 on May 17 in SF...Cain provided an insurance run with an RBI single in 5th inning, becoming just 2nd pitcher in 2009 to register both win and an RBI in 1-0 or 2-0 game...pitched 3 complete games in 5-start span from May 23-June 14...tossed 5th career complete game May 23 at Seattle in SF's 5-1 win...allowed season-high 10 hits (all singles), but just 1 run with 7 strikeouts...was 2-0 with 1.04 ERA (3er, 26.0ip) and 2 complete games in 3 Interleague starts...tossed his 2nd complete game of year June 4 in Washington, although it was only 5.0-inning complete game after contest was called on account of rain...went distance again June 14 vs. Oakland, limiting A's to 1 run on 4 hits with season-high 9 strikeouts in Giants' 7-1 victory...retired 19 of his final 20 batters faced...his lone run allowed came on HR to Jack Cust in 1st inning...with that win, Cain improved to 9-1 on year, becoming just 4th SF starting pitcher since 1958 to win 9 or more of his 1st 10 decisions in season...Hall-of-Famers Juan Marichal (10-0 in 1966) and Gaylord Perry (9-1 in 1966), and last season's NL Cy Young winner Tim Lincecum (9-1) are only other Giants during SF-era to accomplish feat...Cain's 9-1 record marked 2nd-straight season that Giants pitcher won 9 of his 1st 10 decisions(Lincecum was 9-1 to begin 2008 campaign)...according to Elias, Giants had not had pair of pitchers win at least 9 of their 1st 10 decisions over span of 2 or fewer seasons since 1966, when Juan Marichal began year with 10-straight wins and Gaylord Perry started 12-1...won career-best 7-straight decisions from May 7-June 14, logging 1.98 ERA (12er, 54.2ip) during stretch...was tied for 3rd-longest winning streak by NL pitcher and was longest by Giants hurler since Jason Schmidt reeled off 12-straight victories from April 26-July 17, 2004...became Giants' 1st 10-game winner when he earned victory July 6 vs. Florida...was named to his 1st career All-Star team, along with Tim Lincecum, marking just 3rd time in SF-era history that club had pair of starting pitchers on All-Star roster...others were Johnny Antonelli and Sam Jones in 1959 and Juan Marichal and Gaylord Perry in 1966...did not pitch in ASG July 14 at St. Louis' Busch Stadium and was actually replaced on roster by Pittsburgh's Zach Duke, after suffering right elbow contusion in start prior to break on July 11 vs. San Diego...had to leave that July 11 start in 2nd inning after being hit by line drive off bat of pitcher Tim Stauffer with 2 out in 2nd inning...that mishapprevented him from pitching in his 1st-ever All-Star Game...rebounded with typical Cain outing July 19 at Pittsburgh, allowing 1 run on 5 hits with 2 walks and 8 K's over 7.0 innings of Giants' 4-3 victory...was 1 of 7 pitchers in SF-era history (8th occurrence) to win 12 of his 1st 14 decisions, joining Gaylord Perry (1966), Juan Marichal (1966, 1968), Rick Reuschel (1989), John Burkett (1993), Shawn Estes (1997) and Jason Schmidt (2004)...only Perry, Marichal (twice) and Burkett advanced to 13-2...finished month of July with 3-0 record with 0.94 ERA (4er, 38.1ip) and .197 avg. against (26-for-132) in 6 games, with Giants going 5-1 in his starts...his 0.94 ERA was 3rd-lowest in NL, while his .197 avg. ranked as 6th-best...recorded 4th complete game of year Aug. 3 at Houston, however was charged with loss for 1st time in his career when going distance...threw 8.0 innings of 4-run ball, walking none and striking out 5 in 4-3 loss...that Aug. 3 start triggered stint in which Cain allowed at least 4 runs in 5 of his next 9 starts, posting 1-4 record with 4.04 ERA (28er, 62.1ip) in that 9-start span...after going 10-2 before All-Star break, went just 4-6 in 15 starts following break...gave up season-high 7 runs Sept. 22 at Arizona in Giants' 10-8 loss...4 of his 7 runs allowed came in Arizona's 6-run 3rd inning...trouble began after he hit 2-run standup 3B in 2nd inning against Doug Davis, giving Giants 3-0 cushion...marked his 1st career 3-bagger and just 4th by Giants pitcher since 2000...barely had time to catch his breath as he returned to mound and allowed 4 of his 1st 5 batters to hit safely, including 2B's by Mark Reynolds and Brandon Allen...was awarded annual "Willie Mac Award" prior to game Sept. 25...named after Giants Hall of Famer Willie McCovey, award is honor bestowed upon most inspirational player on team, as voted upon by Giants players, coaches and training staff...Cain became only 7th pitcher to win award and 1st since Mark Gardner in 2001...is also youngest to win award at 24 years of age along with Jack Clark, also at 24 when he won award in 1980...earned his career-best 14th win of season in his final home start of year Sept. 27 vs. Chicago-NL after pitching 8.0-shutout innings while allowing just 3 hits with 8 strikeouts in SF's 5-1 win...took loss in his final start of season Oct. 3 at San Diego, allowing pair of runs in 5.0 innings...Giants were held to just 2 hits in their 2-0 shutout defeat...batted just .150 (9-for-60) with 2 2B's, 3B and 3 RBI...also had 9 sacrifice hits...did not hit home run after recording 2 in each of his previous 2 seasons. Only SF pitcher whohas been mainstay in rotation last 3years, made team-high 34 starts whileplacing 4th on club in wins (8), and2nd in innings (217.2ip), in strikeouts(186) and in avg. against (.251)...overallwent 8-14 with 3.76 ERA (91er,217.2ip) in 34 starts for San Francisco...his 186 strikeouts were tied for 8thmostamong NL leaders...had 21 quality starts (7 in wins, 6 in losses, 8 in no-decisions), 2nd-moston team behind Tim Lincecum (26) and tied for 8th-most in NL...was handicapped with NL's lowestrun support (3.14), 2nd-lowest in Majors behind Oakland's Greg Smith (2.88)...received 1 runor less of support in 16 of his 34 (47.0%) starting assignments, going 1-10 in such contests andGiants logging 4-12 record...went 7-4 when receiving 2 or more runs of support and posted 6-1ledger when Giants scored 3 or more runs while he was on hill...registered 9th-most strikeouts byGiants pitcher prior to All-Star Break with 121 K's...became 27th Giant to surpass 100-K plateauprior to Break and is part of 1st trio to surpass mark in West Coast annals, joining Tim Lincecum(135) and Jonathan Sanchez (115)...had 3 starts that skewed overall numbers (April 18 at STL, May18 vs. CWS, Sept. 11 at SD - 21 runs in 14.0ip, 13.50 ERA)...fashioned 3.09 ERA (70er, 203.2ip)in his 31 other starts...on April 12, had no-hitter broken up by St. Louis' Albert Pujols in beginningof 7th inning...effort marked 4th time he has carried no-hitter into 7th frame...posted 1st win ofseason April 28 vs. Colorado (6th start of year) that broke 10-start winless streak dating back toAug. 28, 2007 (at COL)...delivered season high 11 strikeouts June 14 vs. Oakland...worked 7.0innings in contest, walking just 1 batter...tossed 8.0-shutout innings July 1 vs. Chicago-NL, earning5th win in SF's 2-1 triumph...limited Cubs to just 2 hits and 3 walks, while registering 10strikeouts (6th career double-digit K effort)...tossed 9.0-inning complete game July 24 vs.Washington, tossing 4-hitter in 1-0 SF victory...marked 4th career complete game and his 1st startof season in which he didn't issue walk...it was only 4th 1-0 shutout with 4-or-fewer hits allowedand no walks by Giants pitcher in SF annuals...others: Gaylord Perry (twice: Aug. 8, 1964 at CINand Aug. 12, 1966 vs. HOU) and Vida Blue (Aug. 29, 1980 vs. NY)...lost each of his final 5 decisions,going 0-5 with 4.83 ERA (22er, 41.0ip) in 7 starts...averaged just 1.54 runs of support duringthat span...was considered for Gold Glove Award, receiving 9 1st place votes...did not commitName Age Date Opp.With 13 wins in 2006, Cain became just the 8thGiants rookie to lead the team in wins since 1900. Endured unlucky season,going 7-16 despite 3.65 ERA (10thin NL) and career-best 22 quality starts(tied for 6th in NL) in his 32 openingassignments (68.8%)...led Giants startersin ERA, innings, strikeouts (163),avg. against (.235) and quality starts,while he was 2nd in starts...however,SF was just 9-23 in his assignments...bullpen blew 5 leads, while SF plated2 runs-or-less during his outing in21 of 32 starts (65.6%)...became 13thpitcher in SF history to lose at least 16games in season, yet his 3.65 ERA was5th-lowest among that group...became 1st Giants hurler to lose that many contests since LivanHernandez went 12-16 in 2002...had 2nd-lowest run support in majors (3.51), with only STL'sKip Wells (3.43) having less...was one of NL's toughest pitchers to hit, ranking 7th in league with.235 avg. against and 5th with 7.79 hits allowed per 9.0 innings...however, was 2nd in circuitwith 16 losses and 6th with 79 walks...finished season strongly, going 4-4 with 3.04 ERA (26er,77.0ip) over his last 12 starts (SF was 6-6)...was just 4-for-57 (.070) at plate, but hammered 1st 2career HRs to become 1st SF pitcher to have 2 in season since Brad Hennessey in 2005...clubbed1st clout Aug. 8 off Washington's Tim Redding, before launching solo shot off Chicago's CarlosZambrano Aug. 23. Led all NL rookies with 13 wins, while pacing freshmen with 179 strikeouts and ranking 8th in ERA (4.15)...also led in innings (190.2), while tying for 1st in starts (31)...finished 3rd among all NL pitchers with .222 avg. against, while ranking 9th for strikeouts...was 7th Giant to lead NL rookies in victories during SF-era, joining Frank Linzy (1965), Elias Sosa (1973, tied with MON's Steve Rogers), John D'Acquisto (1974), John Montefusco (1975), Bill Laskey (1982) and John Burkett (1990)...13 wins were tied for 3rd on SF rookie list, equalling Laskey (1982) and Ryan Jensen (2002)...Montefusco set mark with 15 wins in 1975, while Burkett is 2nd with 14 in 1990...posted 2nd-highest single season strikeout total by SF rookie with 179...only Mathewson (221 in 1901) and Montefusco (215 in 1975) struck out more batters during rookie campaign in franchise history...joined Monefusco (1975) and D'Acquisto (167 in 1974) as only SF hurlers to lead NL rookies in strikeouts... finished strongly, going 5-3 with 2.55 ERA (17er, 60.0ip) and .202 avg. against (44-for-218) over his final 9 starts...allowed no more than 1 run in each of his 6 starts Aug. 17-Sept. 14...in last 50 seasons only 1 other rookie pitcher had a streak of at least that length, as Fernando Valenzuela surrendered 1 or no runs in 7 consecutive starts in 1981 (courtesy: Elias Sports Bureau)...struggled to 1-5 mark with 7.04 ERA (30er, 38.1ip) over 1st 7 starts...worked 2.0-perfect innings to close out SF's 14-3 romp May 16 at Houston in his 1st ML relief appearance... went 12-7 with 3.34 ERA (58er, 152.1ip) and .205 avg. against (113- for-552) over his last 24 outings (23 starts) after May 16...tossed 1-hit shutout May 21 at Oakland...allowed only Jay Payton's double to lead off 3rd, and retired 19 of his final 20 batters as SF posted 6-0 triumph...became youngest SF Giant to toss 9.0 inning 1-hitter at 21 years, 232 days old...Mike McCormick tossed 5.0-inning no hitter in 1959 at 20 years, 256 days...carried no-hitter through 7.2 innings in June 19 victory over Angels (2-1 SF triumph)...Chone Figgins broke up no-hit bid with single to center with 2 out in 8th on full count...was longest no-no attempt by Giant since Scott Garrelts went 8.2 frames July 29, 1990 vs. Cincinnati...12 strikeouts Aug. 6 vs. Colorado matched 4th-highest single-game total by rookie in SF history...Ron Herbel established SF mark with 14 strikeouts June 24, 1964 at Cincinnati...collected 1st career RBI Aug. 6 vs. Colorado, and registered 1st career multi-hit effort July 21 vs. San Diego (2-for-4 with 2B). Earned 2nd consecutive USA Today Organizational Player of Year honors for excellent work at triple-A Fresno, before bursting onto ML scene as SF made late season run for NL West flag...had contract purchased from Fresno Aug. 26, making big league debut Aug. 29...fashioned 2-1 record with 2.33 ERA (12er, 46.1ip) in 7 starts...limited opponents to miniscule .151 avg. (24- for-159), while striking out 30...worked at least 6.0 innings in 6 of 7 starts, while yielding less than 3 runs every trip to hill and 4-or-less hits in 6 assignments...was toughest Major League pitcher to hit during month of Sept., yielding .148 avg. against (21-for-142)...posted incredible numbers as 2nd-youngest player in majors over final months, behind only SEA's Felix Hernandez (19 years old)...overall, was 6th youngest player to make debut in big leagues during season...at 20 years and 332 days old when he took mound Aug. 29 vs. Colorado, became youngest Giants pitcher in 1st big league start since Mark Grant April 27, 1984 at Cincinnati (20 years, 185 days)...since 1950, was 8th youngest Giants hurler to make debut, and 4th-youngest for 1st opening assignment...earned 1st big league victory Sept. 4 at Arizona, allowing 1 run over 7.0 innings to post 3-2 victory...at 20 years and 338 days Sept. 4, became 4th-youngest SF Giant to win game and youngest since Mark Grant was 20.318 in 1984...became youngest Giant to throw complete game in SF annals with Sept. 9 performance vs. Cubs (20 years, 343 days), when he handcuffed Chicago on 2 hits (courtesy: Bill Arnold/Sports Features Group)...was 1st SF rookie to throw complete game 2-hitter since Dennis Cook did so Sept. 25, 1988 vs. Los Angeles...opened season with 1st taste of triple-A action, going 10-5 with 4.39 ERA (71er, 145.2ip) in 26 starts for Fresno...limited opponents to paltry .218 avg. (118-for-541), while Grizzlies went 16-10 in his opening assignments...led Pacific Coast League and was 7th in all of minor league baseball with 176 strikeouts. Organizational Player of Year combined for 13-5 record with 2.67 ERA (47er, 158.2ip) in 28 starts during dominating campaign with single-A San Jose and double-A Norwich...led all SF farmhands in wins and strikeouts (161 in 158.2 innings), while pacing organization's starters in ERA...opened year in San Jose, earning club's Player of Month accolades for April, May and June while going 7-1 with 1.86 ERA in 13 starts...promoted to Norwich in mid-June and was selected to participate in Futures Game as part of All-Star festitivies in Houston...made 15 starts for Navigators, logging 6-4 ledger with 3.35 ERA. Spent entire season at single-A Hagerstown, going 4-4 with 2.55 ERA in 14 starts. Opened professional career with Giants' entry in Arizona Rookie League...after signing June 26, was not activated until July 12...limited opponents to .197 avg...was 0-1 with 3.72 ERA in 8 games (7 starts). October 1, 2017 RHP Matt Cain retired. October 12, 2016 San Francisco Giants activated RHP Matt Cain. October 5, 2016 San Francisco Giants reassigned RHP Matt Cain to the minor leagues. September 2, 2016 San Francisco Giants activated RHP Matt Cain from the 15-day disabled list. August 27, 2016 San Francisco Giants sent RHP Matt Cain on a rehab assignment to Sacramento River Cats. August 18, 2016 San Francisco Giants placed RHP Matt Cain on the 15-day disabled list. Lower back strain. July 20, 2016 San Francisco Giants activated RHP Matt Cain from the 15-day disabled list. July 15, 2016 San Francisco Giants sent RHP Matt Cain on a rehab assignment to San Jose Giants. July 8, 2016 San Francisco Giants sent RHP Matt Cain on a rehab assignment to Sacramento River Cats. July 2, 2016 San Francisco Giants sent RHP Matt Cain on a rehab assignment to AZL Giants. June 13, 2016 San Francisco Giants activated RHP Matt Cain from the 15-day disabled list. September 11, 2015 San Francisco Giants activated RHP Matt Cain from the 15-day disabled list. September 4, 2015 San Francisco Giants sent RHP Matt Cain on a rehab assignment to Sacramento River Cats. July 2, 2015 San Francisco Giants activated RHP Matt Cain from the 15-day disabled list. June 15, 2015 San Francisco Giants sent RHP Matt Cain on a rehab assignment to Sacramento River Cats. June 9, 2015 San Francisco Giants sent RHP Matt Cain on a rehab assignment to Richmond Flying Squirrels. 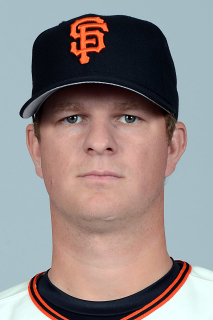 April 7, 2015 San Francisco Giants placed RHP Matt Cain on the 15-day disabled list retroactive to April 4, 2015. Strained right flexor tendon. November 3, 2014 San Francisco Giants activated RHP Matt Cain from the 60-day disabled list. June 6, 2014 San Francisco Giants activated RHP Matt Cain from the 15-day disabled list. May 10, 2014 San Francisco Giants activated RHP Matt Cain from the 15-day disabled list. September 7, 2013 San Francisco Giants activated RHP Matt Cain from the 15-day disabled list. August 23, 2013 San Francisco Giants placed RHP Matt Cain on the 15-day disabled list. Contusion on his right forearm.